Google is really pushing this whole audiobook thing. 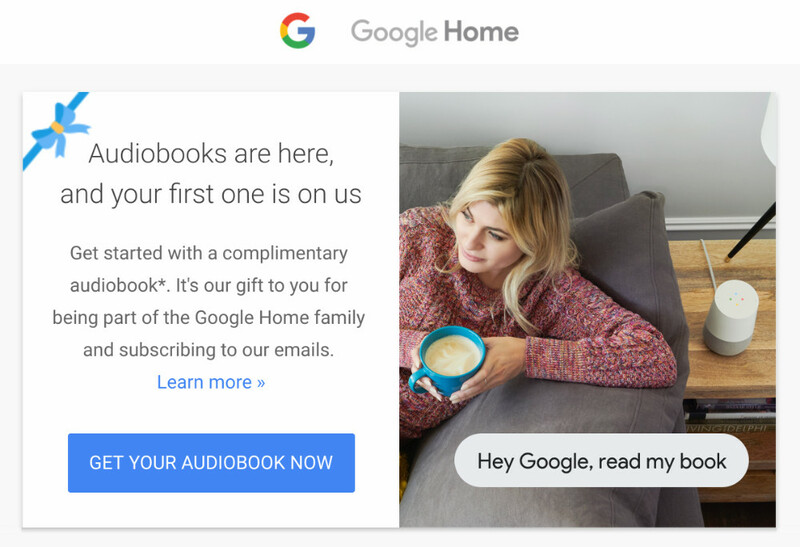 After introducing them only a couple of weeks ago to Google Play and giving everyone 50% off their first purchase, Google Home owners are now receiving email notices that a free audiobook is in their future. 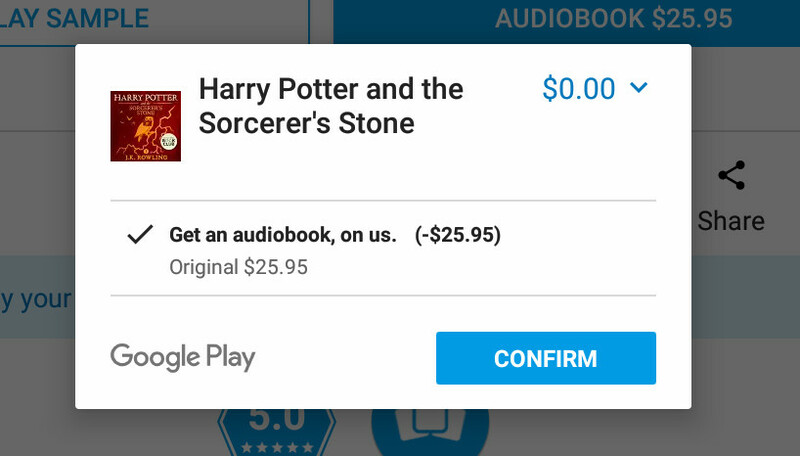 The offer should get you almost any audiobook for free (“eligible titles”), from what we can tell. It’s the type of deal where you click through the links provided in the email, find the audiobook you want, click the option to buy it, and the price will drop to $0.00 before finalizing the purchase. The emails look like the one you are seeing at the top of this post. Again, it’s specific to Google Home owners, though we aren’t sure if its a Home, Home Mini, or Home Max that’s triggering the offer. As you can see below, my invite for the freebie mentions the “Google Home 3” that I own. I own all three sizes, and some of my original Home units aren’t new. So yeah, check those inboxes if you own Google Home. Weekly Recap: The Patriots Will Lose.